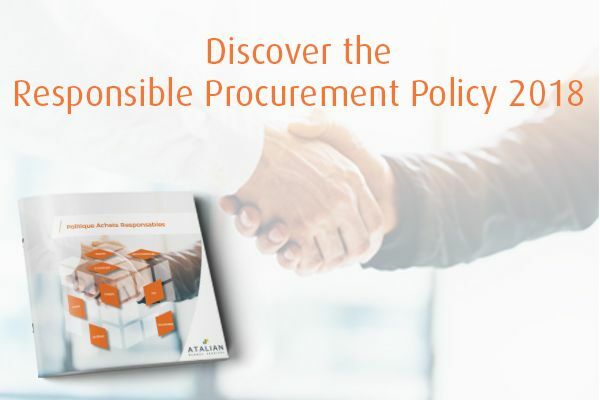 ATALIAN’s Group Procurement Department has just published its Responsible Procurement Policy for 2018, which is directly in line with the Group’s CSR approach and applies to the 30 countries where we are present. This document includes a “Procurement Code of Conduct” addressed to employees involved in the Group’s Procurement processes, and a “Responsible Procurement Charter” addressed to the Group’s suppliers and sub-contractors. This policy enables the Group to establish its credibility and professional image in the eyes of current and future customers, specifically during audits and important calls for tender.